produced to DVD with full interactive menus. Containing onboard footplate rides, behind the scenes with The Saunders Collection and Prestons of Potto. Ever wondered how to start a 1901 Steam Car? This DVD shows you how it was done. It also includes interviews with many of the main exhibitors including: Graham Atkinson, Robert Goodwill MP, John Saunders, Captain Richard Carr, and David Preston. 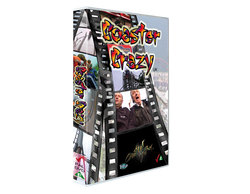 This DVD contains a dual track audio using sympathetic use of music and commentary so that the original sounds of the show are reproduced as best as possible. Andy Hine MBE invites you to sit back, relax and enjoy some of the best coasters in the country. You will not stay in your seat! Not only will you ride these coasters, you’ll also get some behind the scenes info about these monsters! A roller coaster of a DVD all around the UK. Filmed with multiple cameras both on and around the Coasters and from the air! Digitally Remastered from the original rushes and available for the first time on DVD. A must for all fans and devotees. Digitally remastered from the original rushes and available for the first time on DVD. 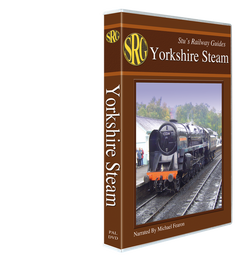 This is a Double DVD disc set containing over two hours of preserved steam action from around Yorkshire. The DVD contains a full narration from Historian Michael Fearon. This is selectable so you can either listen with or without the narration. Full menus to jump to any of the railway, to see trackside and on-board action.